Located in Boston and the surrounding communities, Dana-Farber Cancer Institute brings together world renowned clinicians, innovative researchers and dedicated professionals, allies in the common mission of conquering cancer, HIV/AIDS and related diseases. Combining extremely talented people with the best technologies in a genuinely positive environment, they provide compassionate and comprehensive care to patients of all ages; they conduct research that advances treatment; they educate tomorrow’s physician/researchers; they reach out to underserved members of their community; and they work with amazing partners, including other Harvard Medical School-affiliated hospitals. The Bar-Peled Lab at MBH/HMS Has Open Research Positions! their research can be found at: barpeledlab.org. publications. Investigators in their laboratory will present at regular laboratory meetings and will be encouraged to attend talks conducted by scientists visiting the Harvard Medical School campus. The experience gained in the lab will be very helpful for pursuing a career as a researcher or physician. Exceptional technicians may have a further opportunity to engage in their own primary research project. strong computational background are also encouraged to apply. 1-3 years of research experience is highly recommended. evolving environment. Excellent communication and organizational skills are necessary. Please send a cover letter, your CV and a list of three references to Dr. Liron Bar-Peled at lbar-peled@mgh.harvard.edu. There are TWO positions open at the Orthopedic and Arthritis Center for Outcomes Research at Brigham and Women’s Hospital, Harvard Medical School. Start dates for the positions are June, 2019. These are great positions for students considering careers in medicine, public health, public policy, economic evaluation and related fields. We are seeking to hire a full-time Research Assistant to work with our internationally recognized, multidisciplinary health policy and clinical outcomes research team at the Orthopaedic and Arthritis Center for Outcomes Research (OrACORe) and the Policy and Innovation eValuation in Orthopaedic Treatments (PIVOT) Centers, both in the Department of Orthopedic Surgery at Brigham and Women’s Hospital and Harvard Medical School. The incumbent will be essential to the research operations of OrACORe/PIVOT and will be an integral member of the centers. Health Policy and Clinical Research Assistant at Brigham and Women’s Hospital, Department of Orthopedic Surgery – Read the full job description here. Clinical and Health Policy Research Assistant at Brigham and Women’s Hospital, Department of Orthopedic Surgery – Read the full job description here. Work as a Research Assistant with Dr. Leonard Zon, Grousbeck Professor of Pediatrics at Harvard Medical School, HHMI Investigator, and HSCI Faculty Member. The lab utilizes the zebrafish model system and cutting-edge technologies to study the role of gene expression in hematopoiesis, cancer, and stem cell development. They aspire to develop and improve drug therapies and treatments for patients with blood disorders and cancer. 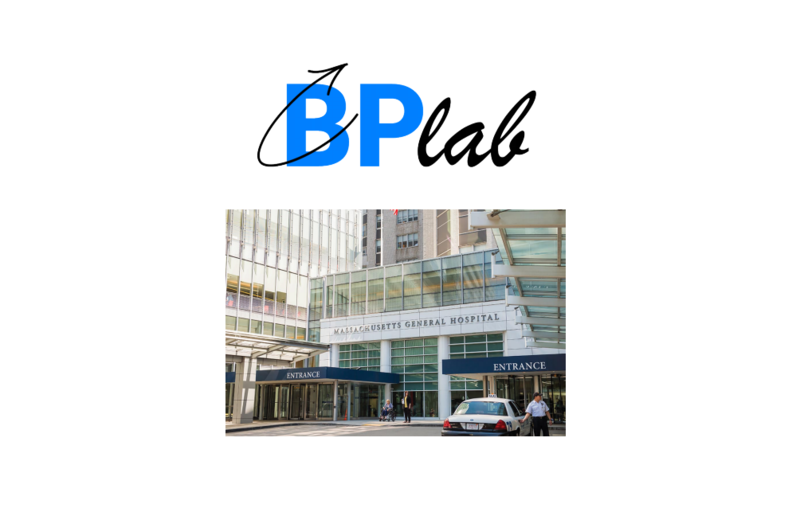 The lab is based in two locations: Longwood Medical Area (Boston) and Harvard University (Cambridge). into their stem cell niche, what genes controls stem cell self-renewal and differentiation, what goes awry in blood cancers & diseases, and how to improve treatments such as bone marrow transplants. Research Assistants: They are looking for multiple candidates with strong biology backgrounds. Research assistants will utilize a variety of molecular biology techniques, microinjections, microscopy, and tissue culture in addition to working with zebrafish. Bioinformatics Specialist: The last three bioinformatics specialists in their lab have been premedical students with a computer science focus. The individual will work on widely applicable computational analyses on the data from lab experiments and will learn to create novel analysis pipelines to handle more complex biological questions. Qualities they are looking for: Highly motivated, intellectually curious, strong organizational skills, and an ability to work independently. Benefits to you: Many recent college graduates spend time as Zon Lab research assistants prior to successfully moving on to positions in medical school, graduate school and other health professions. You will learn how to design and execute state-of-the-art experiments, providing an excellent opportunity to grow creatively as a scientist and to think critically about how the lab translates to the clinic. Research assistants regularly give presentations and are authors on primary research papers, providing a competitive edge when applying to graduate and medical programs. Email your cover letter & CV to Dr. Bruce Barut (Lab Manager). The Yale Autism Center of Excellence (ACE) and Yale Social and Affective Neurodevelopment of Autism Program (SANA) is interested in recruiting highly qualified students for exciting pre-doctoral fellowships for current graduates or graduating seniors. The positions will commence July 2019. Successful applicants will be involved in a 2-year training program involving clinical research experience. The primary training experience will be in daily activities related to behavioral, psychophysiological, eye-tracking and neuroimaging studies of toddlers and children with and without autism. With research mentorship, selected applicants will be expected to guide a pre-determined project of research from the point of data collection through analysis and publication of results. Questions regarding the Yale Fellowship in Developmental Psychopathology and Social Neuroscience may be directed to Dr. Suzanne Macari at sanalab@yale.edu. An experienced, independent, and highly-organized individual is sought for a full-time Research Coordinator position in the Stress and Development Laboratory at Harvard University Psychology Department, run by Katie McLaughlin, PhD. The position will begin in summer 2019 (ideally June). Research examines the impact of environmental experience on children’s development. Most of their studies are focused on identifying developmental mechanisms linking adverse environmental experiences to the onset of psychopathology. Under the supervision of Dr. McLaughlin, the individual in this position will be involved in managing an active research lab with several large grants and participate in many aspects of the research process, including recruitment of children and adolescents into research, preparation of IRB applications, data collection, supervision of volunteer research assistants, data management, programming behavioral tasks, and development and maintenance of a database for participant recruitment and tracking. These duties will primarily focus on an intensive repeated-measures fMRI study examining dynamic changes in neural networks following exposure to stress in adolescents. Data collection for these studies involves acquisition of psychophysiology and MRI data in addition to assessments of mental health and exposure to stress and adversity. At Boston Children’s Hospital, success is measured in patients treated, parents comforted and teams taught. It’s in discoveries made, processes perfected, and technology advanced. In major medical breakthroughs and small acts of kindness. And in colleagues who have your back and patients who have your heart. As the teaching hospital of Harvard Medical School, their reach is global and their impact is profound. Join their acclaimed Division of GI/Nutrition and discover how your talents can change lives. Yours included. They are looking for a talented and motivated Clinical Research Assistant I to join Dr. Scott Snapper’s Lab in the IBD Center at Boston Children’s Hospital. You will be working with a research team that is focused on better understanding the genetic, environmental, and microbial factors that lead to the pathogenesis of Inflammatory Bowel Disease. To advance their understanding of this complex disease, they leverage expertise in gastroenterology, mucosal immunology, genomics/bioinformatics, and translational medicine. They are looking for a person who is motivated, eager to learn and will work well in a quickly adaptive environment. Opportunities that exist, depending on interest and need, for involvement in studies related to analysis of human sequencing data, as well as translational research techniques. If anyone would like to reach out to Sarah Wall directly, you can do so here. This post brought to you by Ariana Mills ’17! RAs have the unique opportunity to participate in heart and lung recoveries for transplant surgeries at Columbia university Irving Medical Center. RAs travel with the procuring surgeons to the donor hospital where they serve as organ preservationists. On tissue and consent calls, RAs collect tissue from cardiac surgery cases for research, as well as obtain consent from patients to use their tissue for research. RAs regularly collect data from patient files for retrospective studies, and there are many opportunities for RAs to come up with their own research projects. The RA position is a minimum one-year commitment in addition to an on-boarding period. Applicants must be graduating seniors or post-bacc students. Candidates who can start before May 2019 will be given special consideration. Each RA will receive a $1,000/month stipend. To apply, please email the following three items to the Program Director, Dr. Catherine Wang. Ariana has also generously offered her contact information if students have questions about the position, concerns about the stipend, etc. You can reach her via email here. A position is available in the WNPRC Genetics Services Unit overseen by Dr. David O’Connor at the AIDS Vaccine Research Laboratory. Genetics Services is a research service unit that specializes in fee-for-service high-throughput genotyping of immune loci in nonhuman primates (NHP). Understanding NHP genetics is essential for unlocking the secrets of AIDS immunity, organ transplant tolerance, and susceptibility to infectious disease. The applicant will provide technical assistance to help design experiments and develop improved technologies for understanding the relationship between genetics and disease, while working with other laboratories that provide NHP samples for advanced analyses available only through Genetics Services.